Just last week, I was privileged to be one of models for CLUB313 Hair and Fashion Styling Workshop in collaboration with ELLE magazine and Salon Vim. For those who don’t know what is CLUB313, here is a little background on them. CLUB313 is a ‘by invitation only’ programme designed to reward the best shoppers at 313. As a member, not only will you earn CLUB$ which you can redeem for REWARDS such as shopping vouchers, complimentary parking and more! You will also have access to exclusive privileges, events and workshops throughout the year! Receive your personal invitation to CLUB313 when you accumulate min. spend of $1000 in 313 within 12 months! 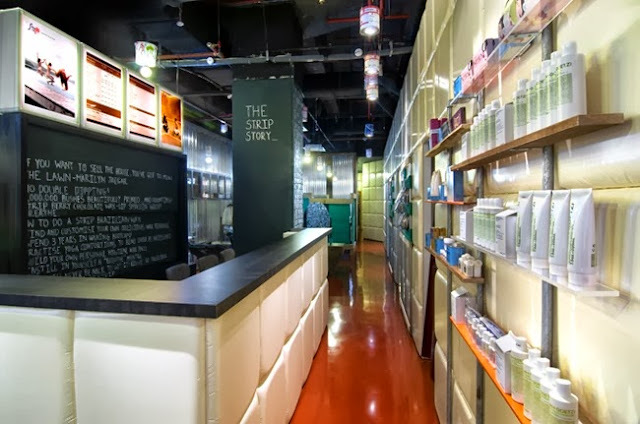 I was pretty shocked and pleasantly surprised by CLUB313’s generosity in having a big budget to book the salon, hire Elle’s renowned stylist, Furqan, and also giving every single one of their VIPs attendees a 313 shopping vouchers, ELLE premiums and $100 Salon Vim voucher and products. It was such a privilege to have Furqan (the guy in denim blue) as my wardrobe stylist! If you flip the most recent Elle magazine, he is the stylist for the shoot held in Paris and has worked with big names like Jason Wu. You should have seen his work! I was pretty impressed with his credentials! Check out Elle videos on Youtube and you can easily spot him in the videos! Furqan picked out the dress for me just by looking at my photos! This is exactly what I would wear on a day out! Gary then headed the hair workshop and gave a crash course to the VIPs on styling a day to night look effortlessly. I was tasked with prepping my own hair and to show how I curl my hair in just…8 minutes haha. Sounds incredible I know, but it comes with practice. It only takes me 10-15 minutes daily and it could be for you as well so what reason is there to be lazy in styling your own hair before you head off to work every morning? ;) How great it would be if Singaporean women take pride in styling their hair to perfection before leaving their house just like the women in Japan! Other than carrying 3-4 pairs of spare heels in the car, I bring out my curling tong as well so I can refresh my curls or change my hairstyle if I have to run from event to event in a day. Looking prim and proper with hair immaculately styled is something I put on my top most priority before I step out of the house. In fact, I incorporate it into my beauty regime everyday! And I was done in 8 minutes flat! *phew! Love this part of the session when Gary styled my hair into a side-swept style for an effortless day to night look! Jayne who was the other model sporting a more edgy look and in this season’s trend; bob hair! Jayne was also given loads of metal accents as this is the upcoming trend for Fall/Winter 2013. Love this look on her! Gary educating the VIPs on something special known as classification of curls and how to get the most out of your curling tong! It was such a valuable insight for me! Jayne was given gentle curls to bring out her feminine accent while still carrying off an edgy and fashionable style for a night look! Seeing how many perks the VIP members of CLUB313 gets and just how much effort CLUB313 puts in to take care of their members make me want to own the exclusive membership as well! To be honest, I have not join any VIPs clubs by the malls because I have never wanted to but this cosy and intimate session organized by CLUB313 have really convinced and change my mind about mall memberships! In fact, I have just started to accumulate my receipts and I still have $700 more to go! With so many fashion stores in 313 like Zara, Forever 21, New Look to name a few, I can foresee receiving so many privilege vouchers to shop there once I get my CLUB313 membership! Log on to www.club313.com.sg to find out how you can be a member too! I never knew what P.V.S stands for until I finally asked a girl over the counter one weekend. The gorgeous Dolce Vita heels which I have contemplated to get. It is almost similar to my black chunky heels so I didn’t get this in the end. But she is such a beauty, isn’t she? Still remember the night when I rushed down to get a pair of Soirees when P.V.S store first opened in Singapore. Something special about these Soirees – they are only available in P.V.S because the colorway (in gold) is specially personalized by P.V.S in their collaboration with Jeffrey Campbell. This gorgeous beauty is from the brand Miista. My new Jeffrey Campbell heels! Couldn’t wait to wear it out over the weekend. Gahh but I chose a size too small. Look at my ridiculous toes peeking out of the shoes –.- I couldn’t stop laughing at em’ silly toes the entire night. LOVE MY NEW JEFFREY CAMPBELL RANDIE HEELS! The kind people at P.V.S has offered to give all my readers a 5% DISCOUNT OFF!